Last February, Mute sent us a press release to promote “Fill Us With Fire”, from Erasure’s album Tomorrow’s World. 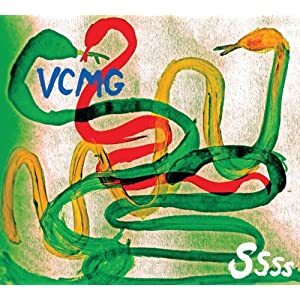 While I was quite happy to write up an article as such, I really was hoping they might send us information about Ssss, which was a collaborative project Erasure member Vince Clarke did with Martin Gore. The album was released that next month, on March 12. Mute never did send us anything (despite my attempts to contact the producer that e-mailed us), but I happily bought a digital copy of the album anyways. This work was exciting to me (and I’m sure other fans will agree) because Vince Clarke and Martin Gore are two of the founding members of Depeche Mode, but had not actively worked together since Clarke left the band in 1981. They are both accomplished musicians and composer/songwriters in their own right, and have plenty of fans with their separate projects, but I felt them coming together was something special. According to the Mute website, the album was completed in a rather unusual way, with the two working alone in their own respective studios and exchanging files by e-mail. But what I think it a little more worthy of mention is Vince Clarke’s continuing dedication to analog synthesizers. The tone and quality of the sound is different. While computer software has given artists much more freedom in creating, mixing, and producing music, the sounds produced are not quite the same as those on the hardware side. We also got an e-mail from an electropop band called The Good Natured, saying they got a wonderful opportunity to work with Clarke on a mixtape, which included another collaboration project called “The Ghost Train”. @thegoodnatured Vince Clarke is a legend... pleased to share the love for your project with him! I also looked around at their other social network connections and noted that their post-punk, synthpop influences were not just reflected in their music, but also in their look (hairstyles, makeup, clothing, etc.) Very, very reminiscent of all the bands they say they are inspired by. As I said before, kids today are wearing looks I haven’t seen for about 20 years... when I was about their age. They’re also listening to and creating music that way, and much of it is all the New Wave, “alternative”, early MTV sort of styles. (Apologies to all my hair-metal loving friends.) Really takes me back and I’m looking forward to see what this will bring to the electronica scene.